Virginia’s Democratic Lt. Gov. 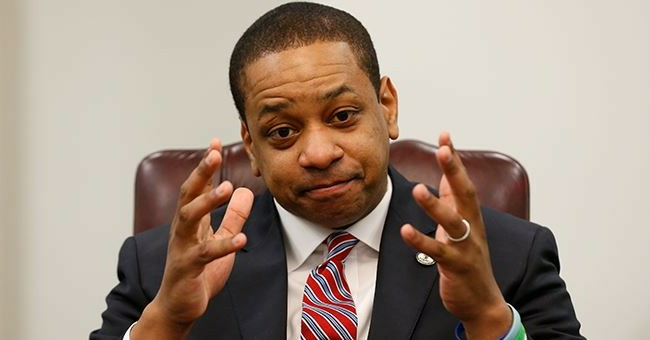 Justin Fairfax has been accused of sexual assault. The accuser alleges the attack occurred during the 2004 Democratic National Convention. There is zero evidence to corroborate this story, which is why The Washington Post and other refused to run it. Different ethical standards were applied for Supreme Court Justice Brett Kavanaugh, however. The Daily Caller’s Henry Rodgers tweeted that he asked 10 Democratic senators about the Fairfax allegation. They either offered no comment or said they haven’t heard the news, which is just another way of saying the former. Sen. Bernie Sanders (I-VT), who caucuses with Senate Democrats, just ran away. As reported by CBS NEs’ Alan He, Sen. Cory Booker (D-NJ) said he’s more concerned with Northam’s blackface fiasco. Sen. Mark Warner (D-VA) refused to comment when asked about Fairfax by The Huffington Post’s Igor Bobic. Given how this party handled the Kavanaugh nomination and weaponized sexual assault allegations, they will continue to refuse comment or run away. Their party is now at the end of the barrel of the Me Too gun, and as we all expected, many don’t really seem to care about this sexual assault allegation. Going by their rules, they automatically have to believe Fairfax’s accuser. Why are they stalling? Is it Believe All Women, or is it only the case when a Republican is accused? I know you all know the answer to that, but it’s very satisfying to see this ensnare Democrats.